We make sure that your bike fit is optimized for you regardless of the type of riding you do. It’s safe to say we’ve conducted more bicycle fittings than any other individual in the state of Washington. But enough about us: A bicycle fitting is about you-the-rider. Perhaps you own a new bicycle, but would like it to ride with more comfort, power, and efficiency. We offer a variety of bicycle fitting services to ensure your current bicycle is optimized for you. Have you purchased new shoes and pedals and desire to have your feet placed in the most optimal position to minimize injury and maximize power? Spend time with Cascade Bicycle Studio placing your feet in an optimal position. 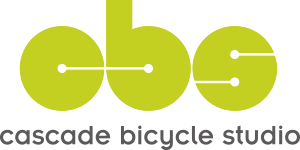 Work with us to take an existing bicycle fit (whether generated by us, or by another retailer) and make suggestions on how to set up a 2nd bike to the same position. A note on fits performed by other retailers: Every so often we’ll hear from clients who want to re-do a fitting performed by another bicycle retailer. We have a high amount of respect for all retailers performing bicycle fits. In the event that we change your position, please note that we are providing you with our very best recommendation; we are not necessarily commenting on your last fit. If a component needs to be changed, we will not ask for the previous retailer to pay for the service we provide, nor the components that may be required to positioning you to our recommendation. If there is any dissatisfaction with your previous fit, please take up compensation questions with your previous retailer before seeing us.